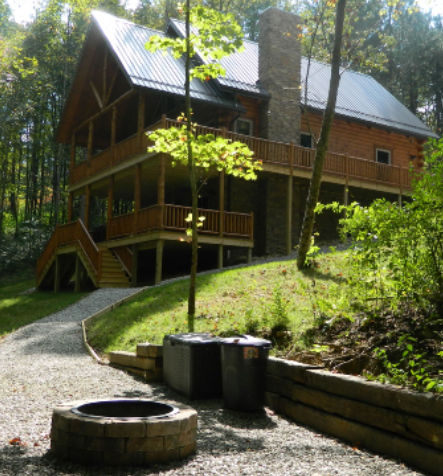 Our cabins are located on 200 acres in Hocking Hills State Parks, Ohio. 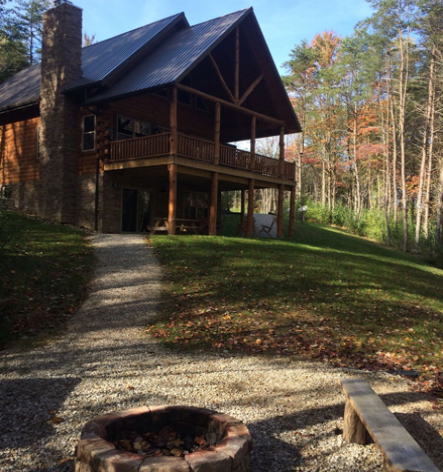 The minimum traffic and yet close to deep wooded ravines in the foothills of the Appalachian Mountains in Hocking County provide tranquility to your cabin rental. 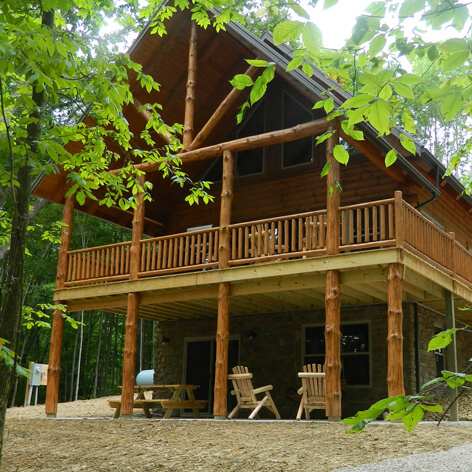 Peaceful setting and construct luxury log cabins with attention to detail, each log cabin includes hot tubs (both outside and in the master bedroom), stone gas fireplaces, large covered porches (great for rainy weather reading or playing games), granite countertops, outdoor fire ring areas, finished walk-out basements with a game room and TV room, a large loft with two queen beds, a queen bed in the master bedroom, a queen bed in the basement bedroom, two full bathrooms, hand-crafted, Amish-made furniture throughout, and a 90” dining room table (seats 8).